Non-toxic booster car seats. Is your child ready to graduate to a booster car seat? Booster seats are for children who have outgrown their forward-facing harnessed convertible car seat. Since seat belts were designed for adults, a booster seat is used for children who are too small to use the vehicle’s seat belt alone. A booster seat positions the seat belt safely correctly across your child’s body, routing the seat belt flat across the upper thighs and the shoulder belt over the child’s shoulder. If you’re shopping for a booster car seat, I would encourage you to consider one of the seats I’ve listed below. These are the only brands that I would personally feel comfortable using because of their commitment to using safer flame retardant chemicals. As always, you’ll want to avoid toxic flame retardant chemicals whenever safe and possible, but physical safety comes first. Should You Use a Harnessed Car Seat or Booster Seat? Are Backless Booster Car Seats Safe? The #1 rule of booster seats is that you shouldn’t rush to use one. Never switch to a booster seat before your child has outgrown their convertible car seat. Not only are convertible car seats safer since they have a five-point harness, but most children aren’t mature enough to sit correctly while unrestrained in a booster seat until they are at least five years of age (and sometimes even older). 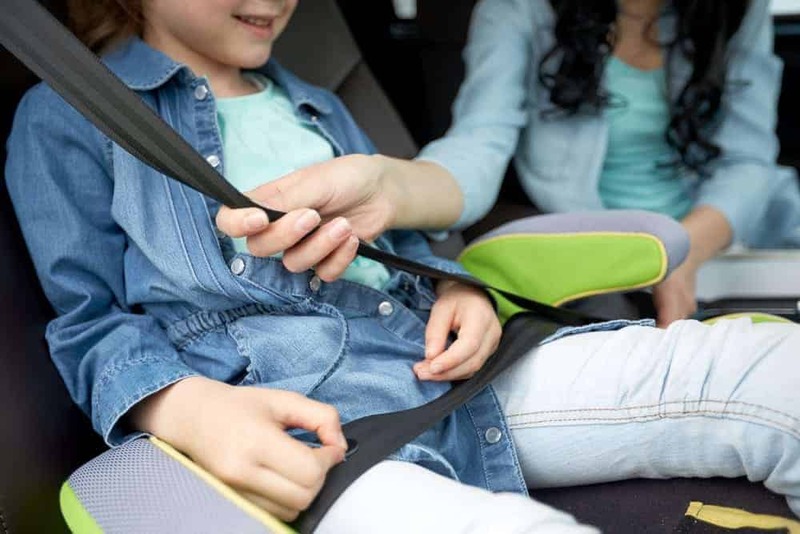 In a booster seat, your child will have freedom of movement; if they are sitting incorrectly or leaning out of their seat, it is a safety hazard and the seat belt may not adequately protect them in a collision. Then, once your child has outgrown the limits for forward-facing in their convertible car seat, you’ll be ready to switch to a booster seat. 1) Rear-facing infant car seat: Most newborns start off in an infant car seat, which has a 5-point harness and can attach to a stroller. We used the Uppababy Mesa with both kids and were very happy with it. We used the Mesa until both kids were about 7 months old. View my full list of non-toxic infant car seats here. 2) Rear-facing convertible car seat: After outgrowing the infant car seat, rear-facing in the convertible car seat is safest for your child. The AAP recommends keeping your child rear-facing until at least the age of 2. My oldest stayed rear-facing until well past the age of 4. Many convertible seats now accommodate extended rear-facing. We have a Britax and a Clek, and their limits for rear facing are 40 lbs., and 43″ or 50 lbs., respectively. View my full list of non-toxic convertible car seats here. 3) Forward-facing convertible car seat: Once your child exceeds the weight limit of your convertible car seat for rear-facing, the next step would be to transition to forward-facing in the convertible car seat using a tether. Many car seats now accommodate long-term forward-facing, too; for example, both my Britax and my Clek can be used up to 65 lbs. in forward-facing mode. 4) High-back booster seat: Once your child has outgrown their forward-facing convertible car seat, you can safely transition to a high-back booster seat. Booster seats use the car’s safety belt, and therefore do not have a five-point harness. There is one noteworthy exception to this, and that is a harnessed booster, which allows you to keep your child in a five-point harness longer before you switch to a booster seat. Otherwise, a regular belt-positioning booster seat can be used. Booster seats can be used on average until children are around the age of 8. 5) Backless booster seat: Eventually, your child may prefer to switch to a backless booster seat. These can be used so long as the seat your child is sitting in has a head rest that your child reaches while sitting in their booster seat. Apparently, a lot of kids like to switch to backless booster seats once social pressures set in so it doesn’t look like they are sitting in a child car seat. 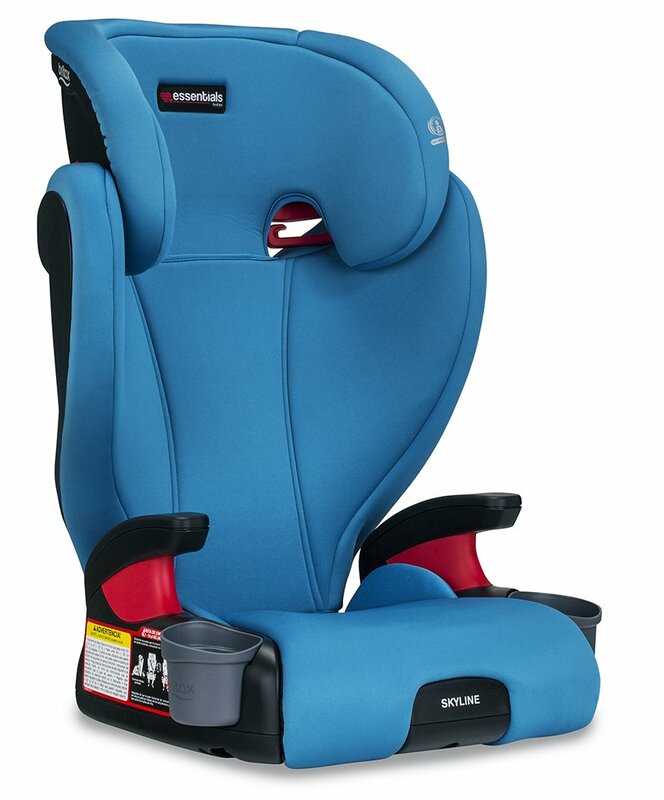 Some high-back booster seats can be converted into a backless booster seat, but backless booster seats don’t provide as much protection as high back booster seats do. Try to keep your child in a high back booster seat if possible. Physical safety always comes first. Though we care about chemical safety too, it is more important to find a car seat that fits in your car, can reliably be installed correctly, and comfortably fits your child. Does the booster car seat contain harmful flame retardant chemicals? Does it use flame retardant chemicals at all (note: most booster seats do with one exception)? Does this booster seat have a metal frame? Does this seat have side-impact protection? How easy is it to install this car seat? What are the seat’s height and weight limits? How long can you expect to be able to use this seat, based on your child’s height and weight? What is the expiration date of this car seat? How long will you be able to utilize this car seat in your family for younger siblings (if applicable)? Does it convert from a high back booster to a backless booster seat? Based on the Ecology Center’s most recent study on car seats, and the companies’ own testing and disclosures, the following brands are likely the cleanest on the market from a chemical safety perspective. Please read on for the pros and cons and an overview of each booster seat. If you’ve confirmed that your child has exceeded the limits in their convertible car seat, choose from one of these high back booster seats. 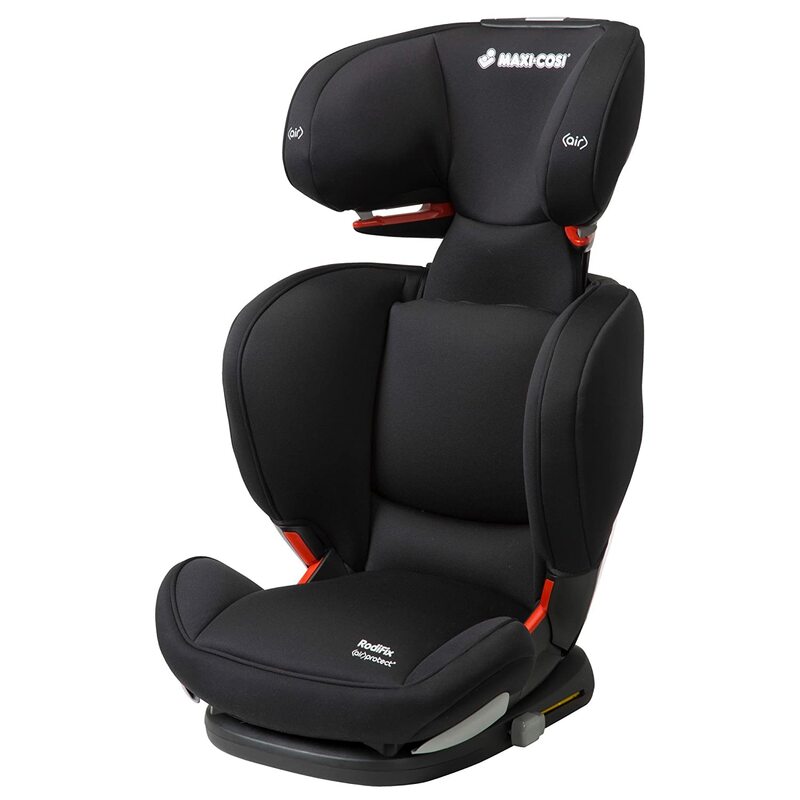 These are safer than a backless booster seat, since they provide more structure and safety features. Additionally, they provide a place for your child to rest their head while sleeping in the car. The Clek Oobr is a high back booster car seat that is built with your little one’s maximum safety in mind. Drawing inspiration from vehicle seats, the Oobr has energy-absorbing foam, a structural headrest, Rigid-LATCH, and a magnesium alloy frame. It is designed to be as safe as the seats in your car, but for kids. 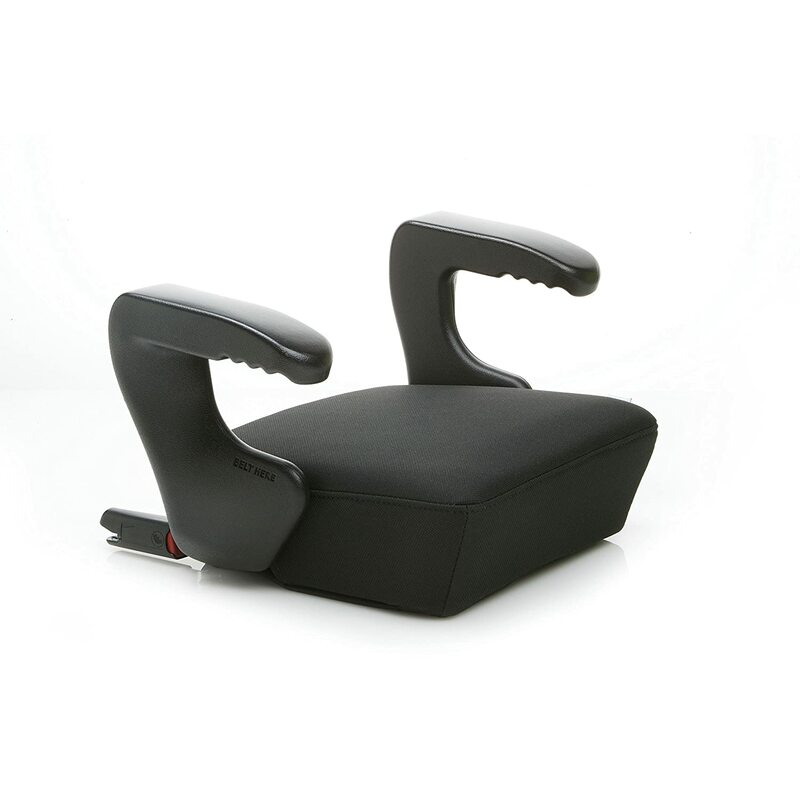 The Rigid-LATCH system locks the booster seat into place and makes installation easy. The seat can be reclined up to 12 degrees for increased comfort and better sleep during long trips. Most versions of the Oobr are made with Crypton Super Fabric, which is GREENGUARD Select Certified and free of brominated and chlorinated flame retardants. The Oobr in Mammoth does not contain any flame retardant chemicals because it is made with wool, which is naturally flame retardant. The Oobr in Drift is not made with Crypton Super Fabric, and it is usually less expensive for this reason. Accessories you might need: Weelee travel bag, Cleaning Kit, Drink-thingy, and Mat-thingy. A household name in car safety, Britax has committed to eliminating halogenated flame retardant chemicals (brominated and chlorinated flame retardants) from all components used in their car seats. Instead, they use phosphate-based flame retardants, which are considered safer than halogenated flame retardants, though further studies are needed. Overall, Britax makes excellent car seats and you can’t go wrong with choosing them. We have a Britax Advocate Clicktight convertible car seat and have been very impressed with the quality of manufacturing and the seat’s ease of installation. Britax offers three harnessed booster seats: Pinnacle ClickTight, Frontier ClickTight, and the Pioneer. These harness-to-booster seats are worth considering because they allow you to keep your child in a five-point harness longer than other booster seats. However, please note that they do not convert to backless booster seats. For more on why, see the section below on the safety of backless booster seats. Britax’s top of the line booster seat, the Pinnacle features easy ClickTight installation, 3 layers of side-impact protection, and a five-point harness. Speaking from experience, Britax’s ClickTight installation system makes it so incredibly easy to install a car seat and is definitely worth considering when purchasing any car seat. The Pinnacle is Britax’s best-selling booster seat, and this is the booster seat I intend to purchase when my oldest outgrows his convertible car seat. The Frontier is another amazing harness-to-booster seat that offers side-impact protection, and the ability to keep your child in a five-point harness until they reach 58″ or 90 lbs. Out of Britax’s three harnessed boosters, this is the middle of the road model. The main difference between this and the Pioneer is one layer of side impact protection. I would personally prefer to pay a little extra for the Pinnacle model, which offers three layers of side impact protection. The Pioneer model is the base model in Britax’s harness-2-booster collection. The main difference between the Pioneer and the Pinnacle and Frontier is that the Pioneer does not include the ClickTight installation feature (which I recommend having). This also means it’s a little lighter than the other two seats. So it’s a great choice if you’re on a budget but still want to take advantage of Britax’s extended-use harness system. Now that you’ve read about Britax’s harness-2-booster seats, let’s go over their other line of booster seats. 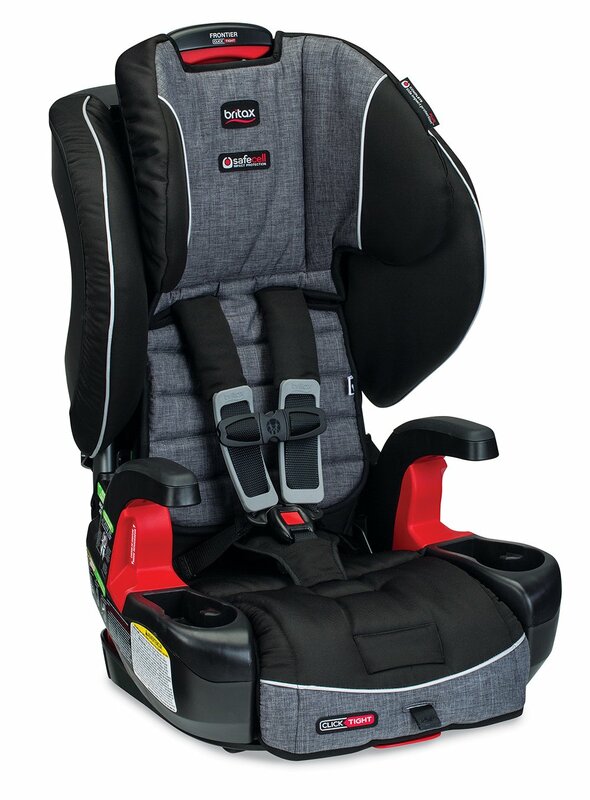 Britax’s line of belt-positioning high back booster seats includes 3 models: the Highpoint, Skyline, and Midpoint. As with all of their car seats, Britax uses phosphate-based flame retardant chemicals which are believed to be safer than halogenated (brominated/chlorinated) flame retardants. These booster seats do not have a 5-point harness and work like a traditional seat belt-positioning booster seat. They do not have the ClickTight installation feature and they do not convert to backless booster seats. If you’re looking to skip the harness and go straight to a belt-positioning booster seat, this line of high-back booster seats may be for you. This line of car seats replaced Britax’s Parkway booster seat, and they have not yet been rated by IIHS. 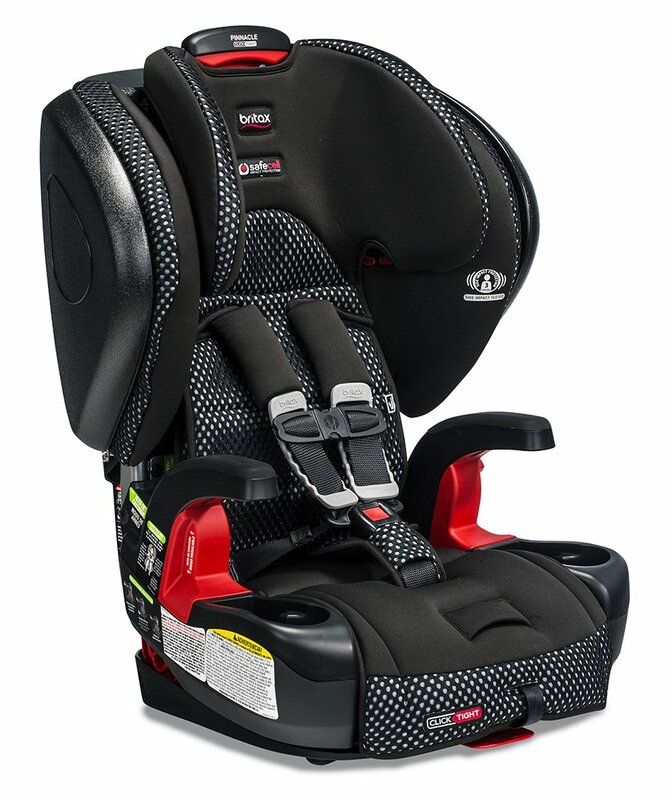 Featuring three layers of side-impact protection, the Britax Highpoint is their top of the line belt-positioning seat. While it doesn’t have the ClickTight feature, it does offer colored belt path guides to help make installation easier. The Midpoint is exclusively sold at Target and gets good reviews from parents. It features a breathable, moisture-wicking fabric made from nylon and polyester that is great for warmer climates. The Midpoint has two layers of side-impact protection. There are some reviews that this seat doesn’t seem sturdy enough, so please consider that when shopping for the Midpoint. 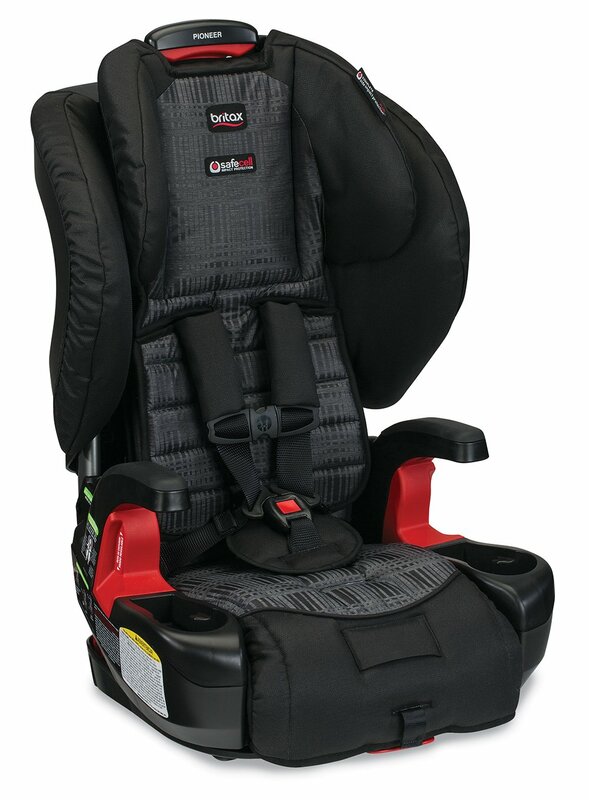 Britax recently introduced their cost-effective Essentials line of car seats, that are comparable in price with brands like Graco and Safety 1st. As part of the Essentials line, the Skyline booster seat combines safety and value. This is a basic belt-positioning booster seat that covers the important bases: two layers of side-impact protection, color-coded seat belt guides, and a 10-position head restraint for the perfect fit. Like other Britax boosters, it comes with two removable cup holders. The fabric on the seat is also especially soft and comfortable. It comes with push-button lower connectors for an easy and secure installation. It does not have ClickTight, but again it is a lower priced model for that reason. One drawback to this seat is that it can only be used until your child is 57″ in height, which is significantly less than some of the other seats on this list. Maxi-Cosi is another brand that received the highest rating in the Ecology Center’s latest study on flame retardants in car seats. It’s also a very popular brand in Europe. 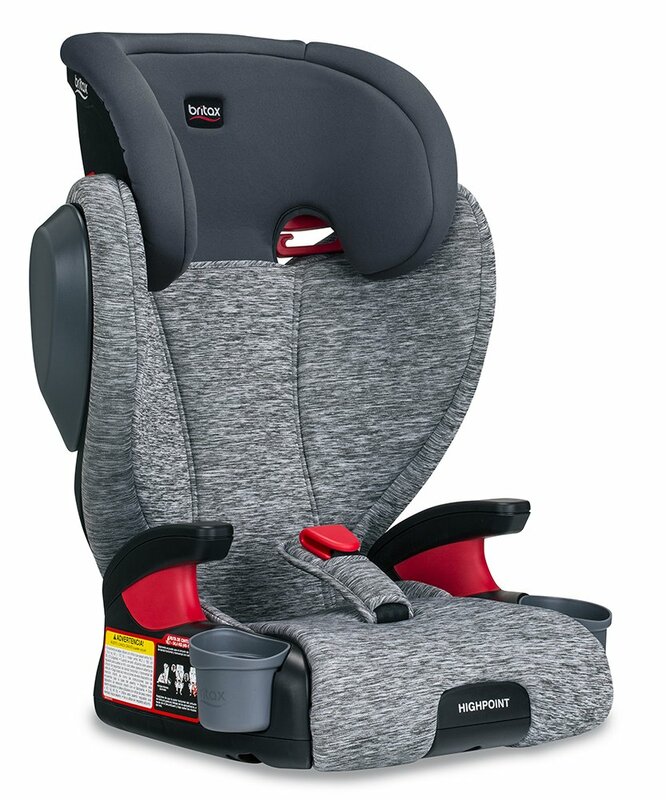 The RodiFix booster seat by Maxi-Cosi offers side impact protection, rigid LATCH installation, a steel frame, and plush and self-wicking fabrics. It’s a well-equipped booster seat and is designed to make it easier for kids to buckle themselves in using a belt path that is easy to use. The seat pad is removable and machine washable (and can be thrown in the dryer, too). The RodiFix doesn’t include cupholders. Depending on your child’s age, these may or may not be important factors to consider. For those reasons, the Nuna AACE booster seat is on this list with some reservations. Further testing is needed to confirm whether Nuna car seats contain harmful flame retardant chemicals. Backless booster seats are essentially cushions that your child can sit on to help position the seat belt across their lap. When your child has outgrown the high back booster seat limits, you can either convert your high back booster to a backless seat (if it converts) or buy a backless booster seat. However, you should not use a backless seat prior to that stage because they provide less support and impact protection. Why? Backless booster seats may not provide as much crash protection as high back booster seats do. 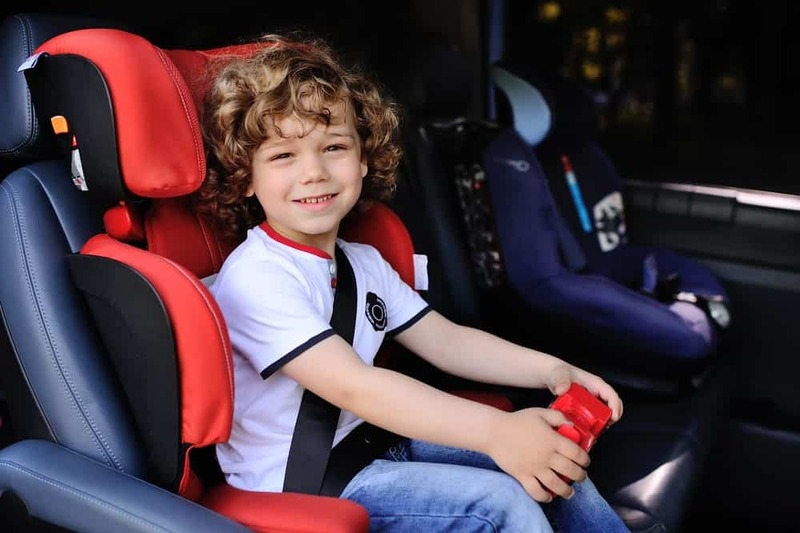 According to some CPSTs, backless booster seats can safely be used as long as you can get a good belt fit, the top of your child’s ears reach the top of the vehicle seat back, and your child is mature enough to sit up straight in the booster seat. Still, it is safer to continue using a high back booster seat if your child still fits in one. Here is an informative video that shows how backless booster seats and high back booster seats perform in a crash. It demonstrates the importance of having head support and a belt path for the seat belt. In fact, Britax has been a leader in urging parents to stop using backless booster seats. They do not manufacture them and none of their booster seats convert to backless mode. While there are some debates around the validity of Britax’s crash test video below, I found it informative and helpful in deciding whether to recommend backless seats. I am not a car seat technician, so I will defer to the experts on this. But my personal preference is to always play it safe. I would personally avoid backless booster seats unless my child has outgrown the high back booster seat limits. 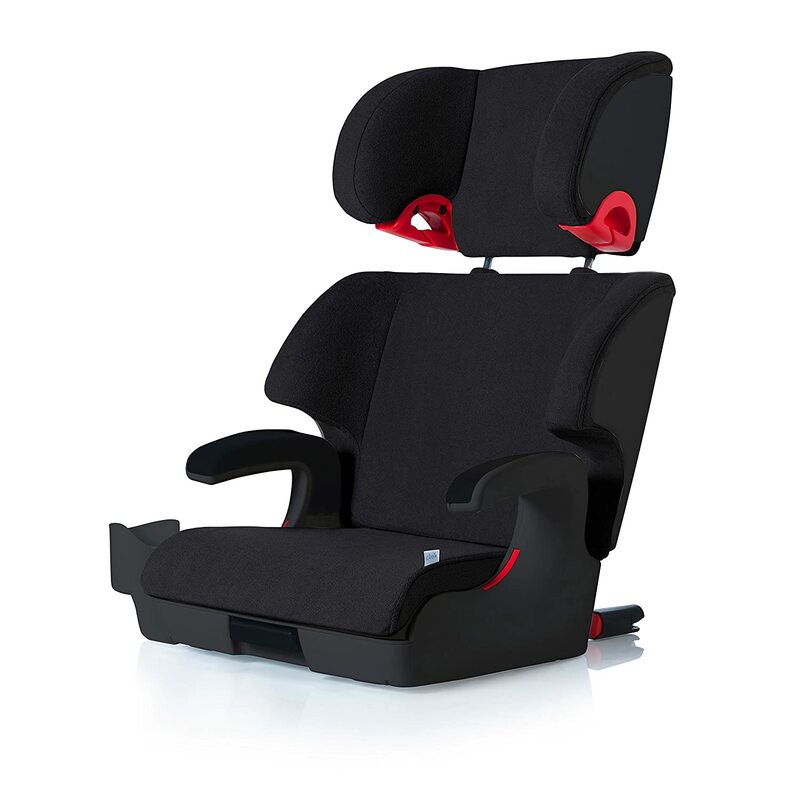 From the list above, the high back booster seats that convert to a backless seat are the Clek Oobr and Nuna AACE. All other seats listed above do not convert to backless mode. Otherwise if you are in need of a backless booster seat, and your seat doesn’t convert to one or your child has outgrown the seat limits, consider these seats below. 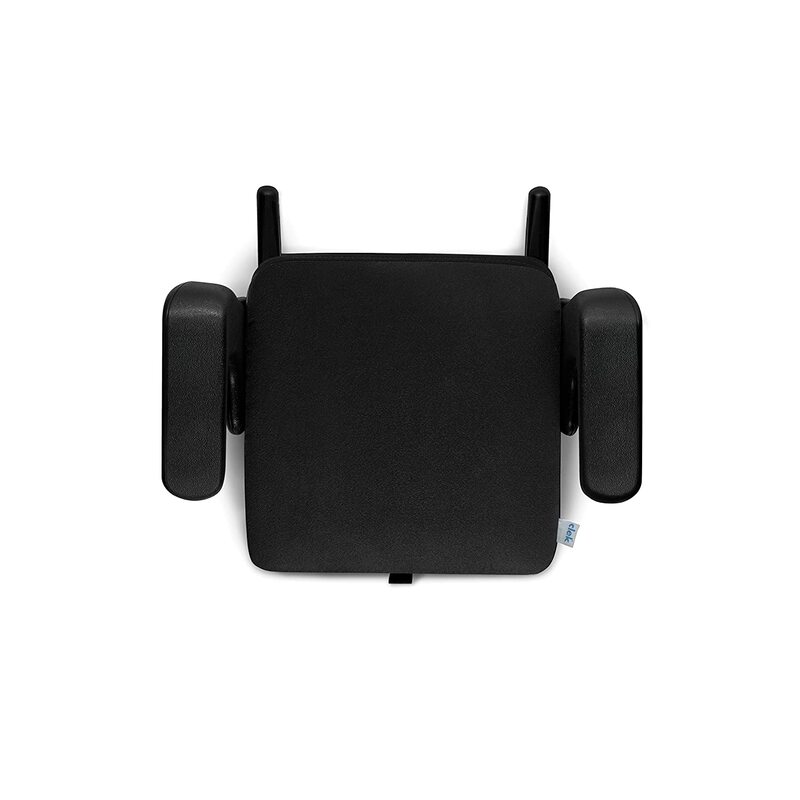 The Olli booster seat is a portable and lightweight backless booster seat. 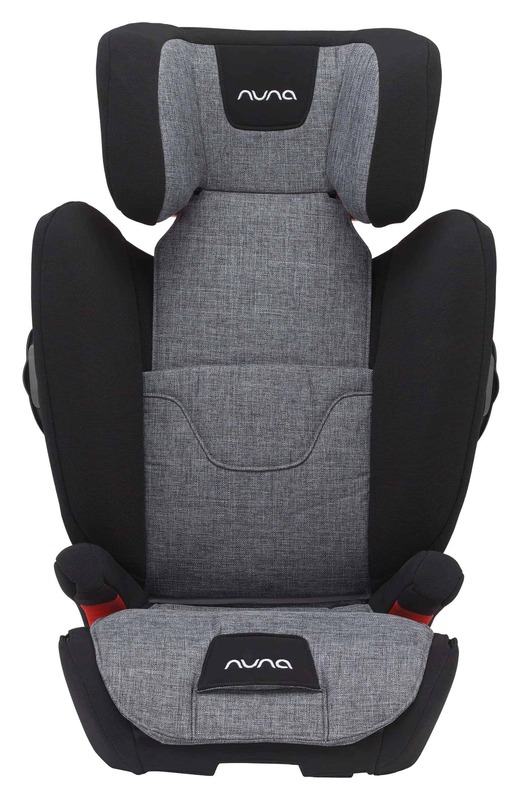 It features extra padding so as to ensure your child’s comfort while traveling in the car. The rigid LATCH system allows you to lock the booster seat into place – providing greater safety and ease in installation. And just for fun, you can customize the car seat fabric to suit your child’s personality with clekjackets. It also comes with a cup holder and carrying strap for portability. An even more basic model than the Olli, the Ozzi backless booster seat is portable and lightweight. This booster seat weighs 5 pounds and features a sleek design; it is ideal for transporting from one vehicle to another with ease. It has been designed to both look and feel like a regular seat in your car. The cover is washable, which is an added bonus. However, the Ozzi does not include cup holders. One odd complaint that parents have is that there is a safety label that covers the entire front portion of the seat. It looks like the company edits these out of their marketing images. So buyer beware – this may or may not be important to you. Did you find a booster seat that will work for you? It’s easy to choose a non-toxic booster car seat now that we have so many great options that combine physical safety and chemical safety. I know I am planning to keep my kids in their five-point harness seats as long as possible, but once we outgrow the car seat I will be buying one of these seats. I hope you found a seat that works for you and that you are happy with!